Ask anyone what they think when you say “Pineapple”, and they will almost certainly say “Hawaii”! 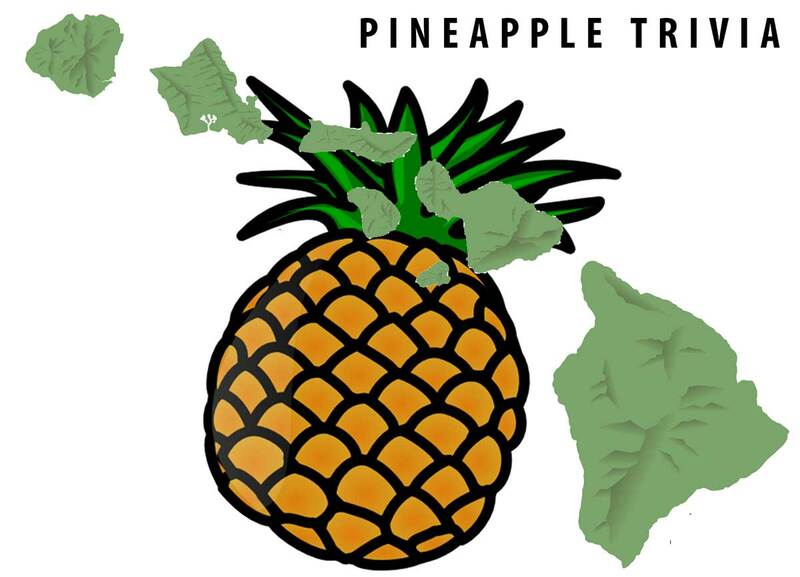 Pineapples have indeed for a long time been a symbol of Hawaii but they are not native to the Hawaiian islands. Pineapples can be traced back to their origin in South America, and are linked together with Hawaii because of the large pineapple industry that was build on Hawaii in the early 1900s. For a while, Hawaiì supplied over 80% of the world’s output of canned pineapple! The scientific name for the pineapple is “Ananas comosus“. In Hawaiian, a pineapple is called “hala kahiki” because of their resemblance to the local fruit “Hana”. A pineapple is neither a pine nor an apple, but a fruit consisting of many berries that have grown together. This also means that Pineapples are not a single fruit, but a group of berries that have fused together. The technical term for this is a “multiple fruit” or a “collective fruit”. You can see a 1 minute time lapse of a pineapple growing from many berries into one pineapple in the video directly below this list. The scientific name of a pineapple is Ananas comosus. This word comes from the Tupi words “nanas” (which means pine) and “comosus” (which means tufted). Tupi is the language used by the Tupi people, who are indigenous people of Brazil. Pineapples were historically very useful on long boat trips. Eating pineapple prevented scurvy, and pineapple juice mixed with sand is a great cleaning agent for boats. Pineapples can “eat you back”! Pineapples contain an enzyme called “bromelain”. This enzyme breaks down proteins in your mouth. So when you eat a pineapple, it is eating you back. Once the bromelain enters your stomach the enzymes are broken down, so you don’t need to worry about being eaten inside-out. Actually, pineapples have many medicinal qualities! [source]. Fun additional fact: workers on pineapple fields often don’t have fingerprints, which could be caused by this enzyme! Pollination of pineapples is required for seed formation, but the presence of seeds has a negative effect on the quality of the fruit. Possible pollinators for Pineapples are honey bees, pineapple bees, and Hummingbirds. In Hawaii, the import of hummingbirds is prohibited for this reason. It can take more than two years for a pineapple plant to produce a single pineapple fruit. Pineapple plants can grow from seeds of through vegetative reproduction (cloning). Cloning is by far the most popular method to grow new pineapples. To clone a pineapple you can use four different parts of the plant: the crowns, slips, suckers, and shoots. The crown is the very top of the pineapple fruit. Slips are the leafy branches that are attached directly below the fruit. The suckers and shoots both originate from near the bottom of the stem. Have a look here if you want to know how you can grow a pineapple at home. In Hawaiian, a pineapple is called “hala kahiki”. This is because the Hawaiians thought the pineapple resembled the “Hala” fruit. “Kahiki” means foreign, hence pineapples became “foreign Hana’s in Hawaii. 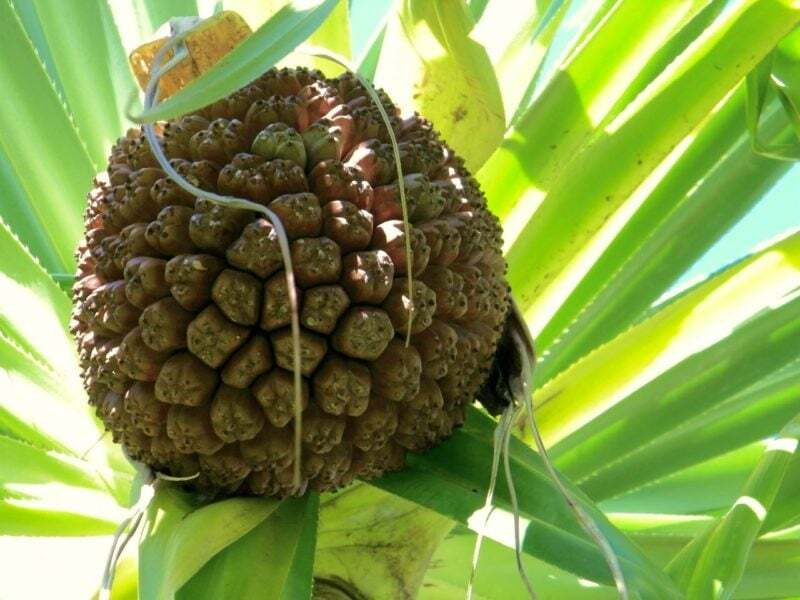 Do you want to grow pineapples yourself? Then keep in mind that altitude matters! In Hawai’i, the best pineapples in terms of sugar content and sugar-acid balance grow at an elevation of ≈300 m.
Pineapples can be tricked into flowering using smoke! This was first discovered on the Azores Islands using smoke. Later research showed the component in smoke responsible for the flowering to be ethylene. Now, forced flowering of pineapples is standard practice on Hawaii because it allows the fruits to be produced throughout the year. The last pineapple cannery on Hawaii closed in 2006 and now only fresh pineapples are exported. This is possible because of recent advancements in pineapple cultivation that have produced sweeter pineapples that are easier to transport (the so-called ‘MD-2’ pineapple cultivar). Pineapples come originally from South America, most probably from the region between South Brazil and Paraguay. From here, pineapples quickly spread around the continent up to Mexico and the West Indies, where Columbus found them when visiting Guadeloupe in 1493 . Columbus then brought the pineapple back to Europe, from which it later made its trip to Hawaii. Pineapples proved to be an exceptionally good fruit to bring on long sailing voyages because they help to prevent, just like oranges, the often lethal disease scurvy . As a side note: the mix of pineapple and sand also is a great cleaning agent for the large wooden ships used to cross the oceans. When exactly the first pineapples arrived in Hawaii is not certain. It is probable that they arrived together with the earliest European visitors to the Hawaiian Islands. The first documented claim of these early visits was by the Spaniards in the 16th century (source  or ). For the astute reader, that is more than 2 centuries before the arrival of captain James Cook! Since pineapples were such a popular fruit to take on long transatlantic voyages, any ship arriving in Hawaii may have brought some of these fruits along with them. After their first arrival it took them a while to become the great success they are now. Two technologies were essential for the pineapples success in Hawaii. The first one is the development of ocean steamers which made the transport of perishable fruits viable. The second one was the development of canning. Canning made it easy to harvest the pineapples ripe and to preserve their (great!) taste for customers all over the world. The first steps into the commercialization of pineapples were taken in the 1880s, but things really picked up after James Drummond Dole (do you recognize that name?) entered the pineapple world in 1903. By the early 1960s, Hawai’ì supplied over 80% of the world´s output of canned pineapple. This golden period did not last long though. Growing pineapples became cheaper in other countries and just 20 years later, in 1983, the last big Hawaiian cannery folded. Today, 75% of the world’s pineapples come from Indonesia, Thailand, and the Philippines. Does Pizza Hawaii come from Hawaii? This question can spark a fierce debate among Hawaiian people. They will almost certainly deny any connection, but is this the truth? The Pizza Hawaii is a pizza with cheese, tomatoes, ham, and pineapple. It is the most popular pizza in Australia (about 15% of all pizza’s sold there ) but has very little to do with the Hawaiian islands. We actually think that the pizza Hawaii can trace its roots *back* to Hawaii! 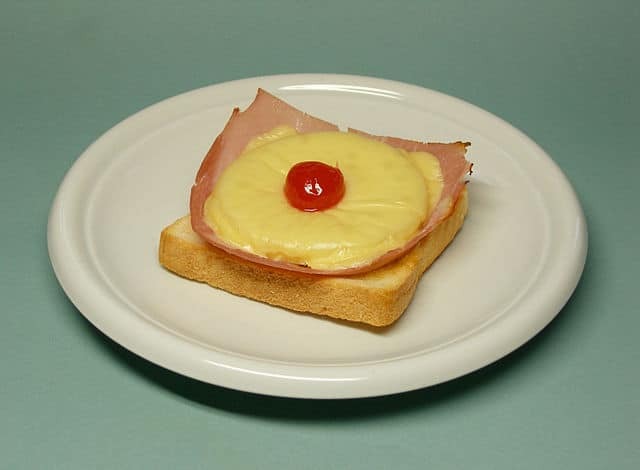 The precursor of the Hawaiian Pizza is said to be the “Toast Hawaii”, which is an open-faced sandwich made with a slice of toast covered by a slice of ham and cheese below a slice of pineapple with a cherry in the middle which is then grilled. This sandwich is attributed to the German TV-cook Clemens Wildenrod who published it in 1955 . “Hawaii” in the name for this toast obviously comes from the use of pineapple, which was then already associated with Hawaii. However, the connection between the pizza Hawaii and the Islands of Hawaii might be closer! There do exist recipes of grilled spam-sandwiches including pineapple and cheese that date back to the 1930s. One example is the recipe from the Hormel cookbook from 1939: Put spam slices on buttered toast, cover with pineapple and grated cheese and put under the grill until the cheese melts. Doesn’t that sound familiar? Spam was a main ingredient in the US army diet and as such came to Hawaii. Spam still is very popular in Hawaii, and recipes including the spam and pineapple likely traveled over the world in the wake of the US army canteens. The question is then if Clemens Wildenrod was ever exposed to this spam recipe. We think that it is very probable that is the case. Clemens was living close to Wiesbaden after the 2nd world war, and Wiesbaden was the city where one of the largest concentration of US troops was stationed. Of course, we cannot be sure but the next time that someone mentions a pizza Hawaii this might be a nice story to recount – especially if that other person is from Hawaii! 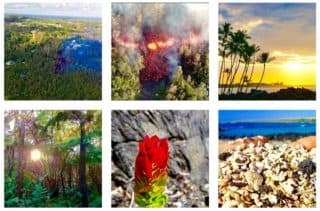 Entdeckt: Spamwich – das Vorbild für Toast Hawaii?